This may not come as a surprise to some, but your long commute into work may be bad for you in more ways than you realize. Several recent articles highlight studies that have been done that put this in terms of hard numbers. Commuting's Hidden Costs from the New York Times points to a Texas study that compared the health of 4,297 participants with the distance they commuted to and from work. As these distances increased, physical activity and cardiovascular fitness dropped, and blood pressure, body weight, waist circumference, and metabolic risks rose. 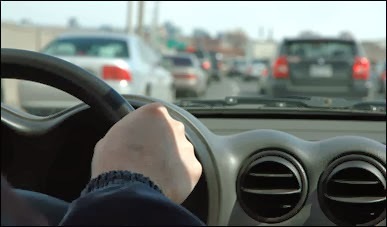 A Swedish study found that people who commuted more than 30 miles a day were more likely to have high blood pressure, stress, and heart disease. A second study by the same researcher found that women who lived more than 31 miles from work tended to die sooner than those who lived closer to their jobs. It's not just worker who are affected by a car-centered lifestyle. The article references a stay-at-home mom in Massachusetts who drives more than her commuting husband — 40 to 50 miles each weekday, just to get herself and her children around. Not only do long commutes directly affect your physical health, but because of less time to devote to social interaction, they impact your emotional well-being. A Slate.com article Your Commute Is Killing You lists another result of the same Swedish study mentioned above, that couples in which one partner commutes for longer than 45 minutes are 40 percent more likely to divorce. Study after study shows that the length of your commute is one of the number one predictors of your subjective unhappiness. Check out further reports from Priceonomics.com, The Economist, The Huffington Post, and TIME. What's the answer? Of course, we'd like to say the answer is commuting by bicycle. However, even after making your way through all of the usual excuses, for many people, it's still not a practical option. Many of us feel that because of the economic options presented to us, our choice of commute isn't really an option at all. But as mentioned in several of these articles, the price we pay for a long commute to a well-paying job may not be worth it in the long run. The solution will only come with a long-term look at the priorities we make in our personal choices, and the ways in which we design our cities and suburbs for livability and sustainability.